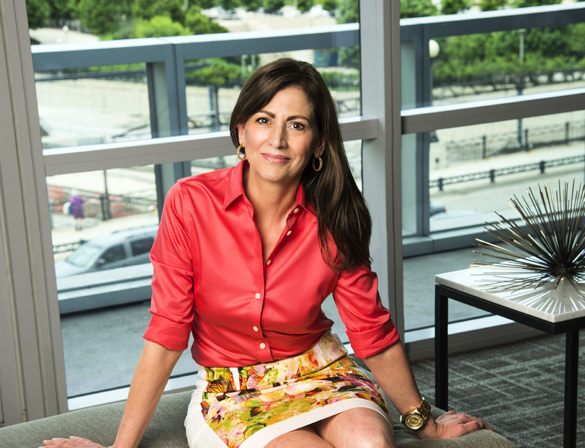 Passion for helping others and a true love for Chicago are two of the driving forces behind Debra Dobbs, whether it be in her real estate practice or in her personal life. Debra’s vast experience in real estate, combined with her deep knowledge of Chicago’s neighborhoods, make her an invaluable partner in buying or selling a home in Chicago–and that is just how Debra views her relationships with her clients… as true partnerships. Debra strives to build relationships with her clients based on trust, integrity and confidence, taking the time to truly understand the needs and wants of her clients. She’s a vested partner in helping them to achieve their dream home. Throughout a career that has spanned 34 years, Debra has earned the trust, admiration and respect of her clients and peers. While buying or selling a home can be an exhilarating and joyful experience, it may also bring on unexpected stress. Debra draws upon her knowledge, experience and instincts to help guide her clients through the business complexities and emotional aspects of the home buying and selling process, whether it be negotiating contracts, reviewing lengthy inspection reports, working with attorneys, or providing strategic staging and design ideas. Throughout the process, Debra remains a passionate advocate for her clients, ensuring their satisfaction every step of the way. Debra is accustomed to wearing several hats and not just in the real estate world. Debra has been a play producer, home builder, opened Chicago’s first gelateria, and is mom to 19 year old Katharine. Debra, Katharine and their three dogs live in Lincoln Park, in a home Debra gut renovated 10 years ago.